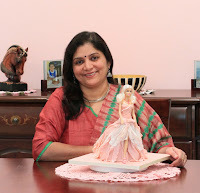 I am Swapna,a stay at home mom and the author, cook / baker behind Swapna’s Cuisine. I hail from Kottayam, a bustling town in south central Kerala, famous for its 3L’s, Lakes, Latex and Literacy. Located on the Malabar Coast in south west India, Kerala is a top tourist destination and referred to as God’s Own Country. I am a Home Science graduate and I started cooking during my college days. After graduating, I married and moved to Northern India before relocating to Kuwait where I currently live with my husband and son. I have several hobbies including cooking, stitching, crocheting, embroidery and fabric painting. My passion for cooking which started during my childhood was inspired by my mother and besides the traditional Syrian Christian fare, I particularly love baking and wine making. In 2008, I started this blog and I used to do everything by myself. But now it is collaborative effort since my photography loving husband Mickey took over the job of photo shooting. Well, cameras and I were never good friends! I always prefer to be in front of the camera than behind ;). Now I concentrate on the cooking and food styling, Mickey takes care of the photography which gives me more free time for my other passions cross stitching and crocheting. The recipes I publish here are a reflection of my Syrian Christian origins, culinary tastes acquired during my stay in North India and the Middle East and evidence of our gastronomic preferences. 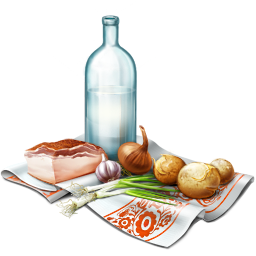 All recipes I have posted here are a collection from my family members, friends, cookery books or other blogs with due credit or link back. 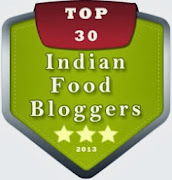 All the recipes are tried and tested by me and I have only posted the successful ones. I try to give correct measurements but please adjust to suit your personal taste especially chilies’ in the Indian fare. While I make every effort to share successful recipes, sometimes some recipes may not work out as well as you hoped. If anything like that happens, please let me know what exactly went wrong and I will try my best to answer, but please appreciate that sometimes it is impossible for me to fathom what went wrong in your kitchen. I am not a trained chef or expert, just a home cook who learned by trial and error. All I can say is please read the recipes carefully and try not to deviate from the method especially while baking and/or if you are a novice. Believe me, once you gain confidence you can surely play with the ingredients successfully. My World of Stitching, a blog I started to showcase all my cross stitch, crochet, paintings and all other artwork done over the years. All the patterns in cross stitch and crochet are copyrighted by their original designers and I got them by buying their original designs. I request you not to ask me to send the patterns as it would violate copyright regulations. If I got the pattern free from the net published originally by the designer I will definitely add that link in the post. Thanks for understanding. In the beginning I was using a Sony Cybershot point and shoot camera and then we upgraded it to Canon 450D (Rebel Xsi) and currently we are using a Canon EOS 7D with a EF 50mm f / 1.4 USM lens. All the pictures are shot in our home in natural light with post processing by and large restricted to cropping and watermarking only. I give back credit to all the recipes I posted here and I would appreciate if the favor is returned. All the pictures here are taken either by my husband or by me. Kindly do not use it without our permission or proper credit or link back to the original post. Plagiarizing is not welcome and will not be tolerated. Please understand that there is a lot of time and hard work behind each recipe I publish here; kindly respect that and ask permission first. 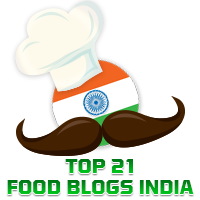 I would love to hear from you, if you find the recipe useful as well as your opinions, queries and requests. You can either comment in the post or use the Contact Me form. Constructive suggestions, criticism and feedback are always welcome and appreciated. But unnecessarily rude comments or comments containing links to commercial websites or blogs will be deleted. I hope you enjoy these recipes as much as I enjoy bringing them to you. If you like to receive notifications in your inbox please subscribe to the site by entering your e-mail id in the subscription form. Also you can follow me on Twitter, Facebook , Google Plus and Pinterest. Me & my friends are huge fan of you,Your blog was very useful for a beginner like me. Tried lots of ur wines & recipe's. ....bt unable to post u a measage due to some problem.